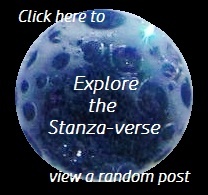 Vice and Virtue | What Rhymes with Stanza? I am greedy for your charity. I lust after your chastity. my wrath yields to civility. I’m a glutton for your kindness. You’re impatient with my pride. I am sinful, you are virtuous. You’re Jekyll, I am Hyde. it’d be one hell of a ride. Inspired by the dVerse Poetics challenge to write a poem based on the seven virtues (charity, chastity, kindness, temperance, diligence, patience and humility), and the seven deadly sins (greed, lust, envy, gluttony, sloth, wrath and pride). This entry was posted in daily prompt, humanity, humor, poetry and tagged dVerse, poetry challenge, seven deadly sins, vice, virtue. Bookmark the permalink. Nice last stanza about that apple. At the end I was asking myself witch one you were riding with?? How our virtue looks like it’s winning, but, uh, oh no! Here comes pride to steal home! Clever take on the prompt, Maggie. Excellent write- my fave- ‘I am greedy for your charity’. This is so clever, Maggie! Did you take the photos? Love the ladybug. Thank you. Yes, that’s my rose bush experiencing a feeding frenzy.